The number one driver of your organization’s success is sales performance. 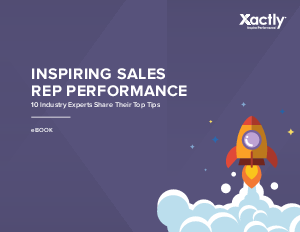 In this new eBook, 10 industry experts provide their top tips on how to inspire sales reps and maximize their selling power. With decades of sales management and training experience between them, they share proven practices to accelerate performance across your organization. Don’t miss this guide on how you can incorporate continuous improvement and drive better performance. Download the eBook today!